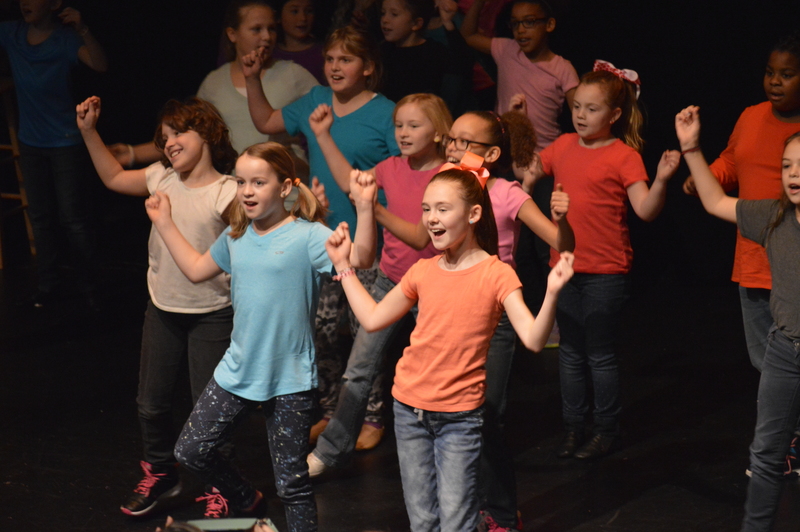 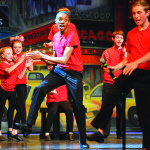 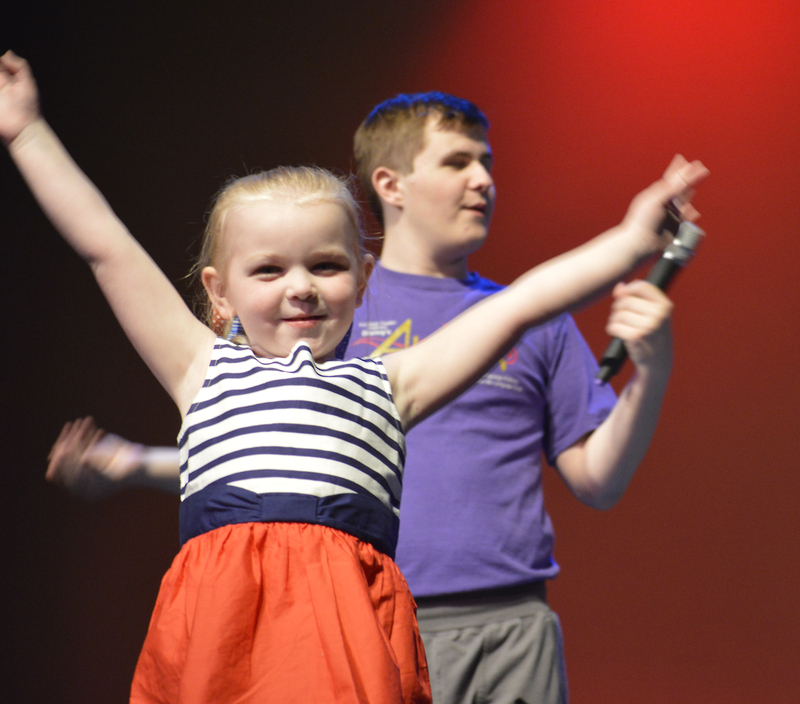 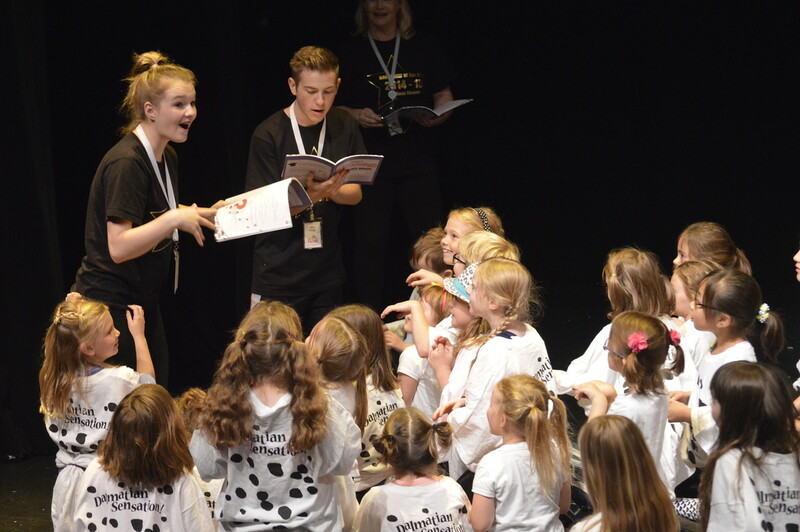 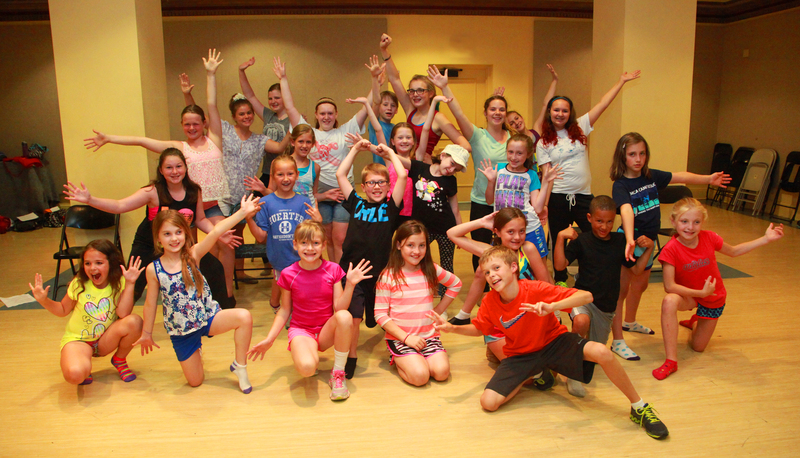 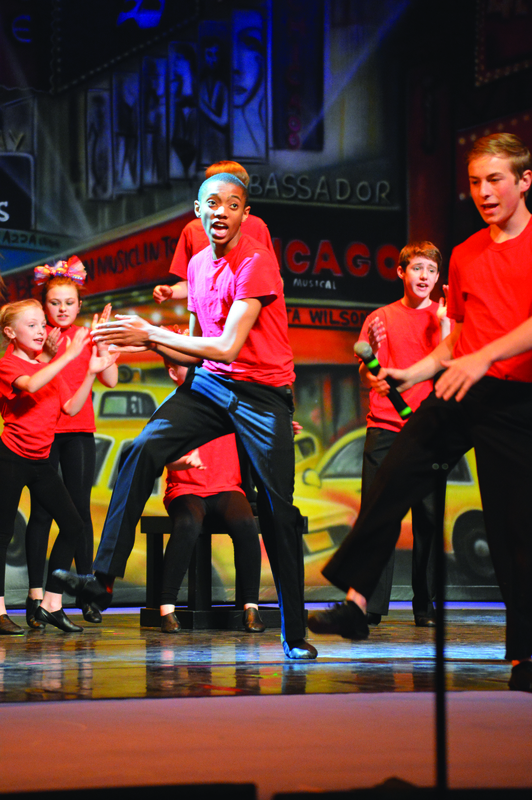 BROADWAY at The Rose offers students ages 3 to 18 a complete musical theater, voice, and dance training experience – taught by the region’s top performing arts practitioners! 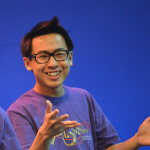 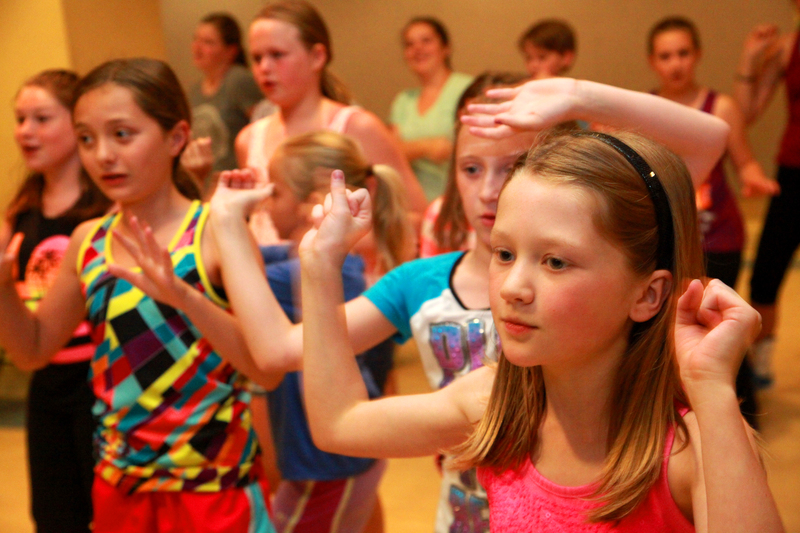 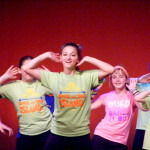 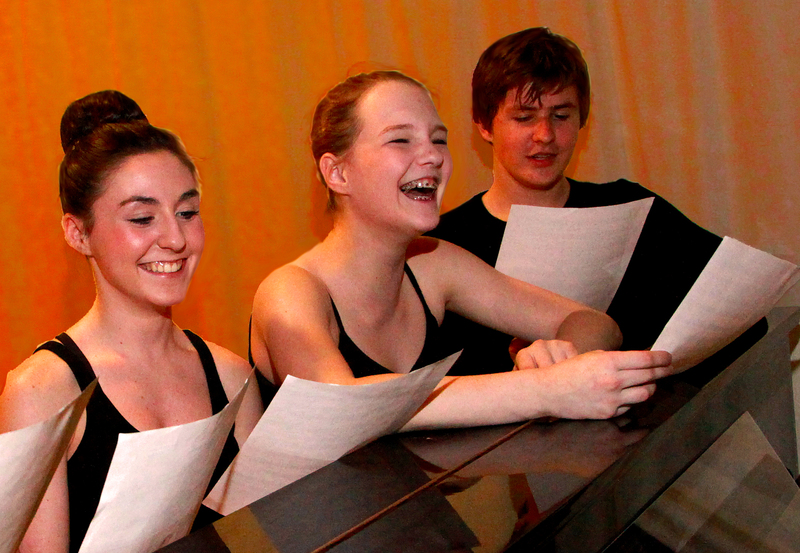 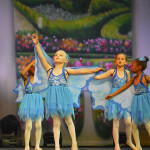 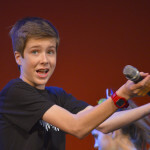 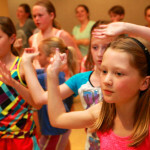 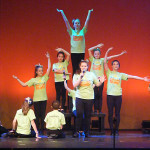 It offers technique training in musical theater, dance, voice and acting. 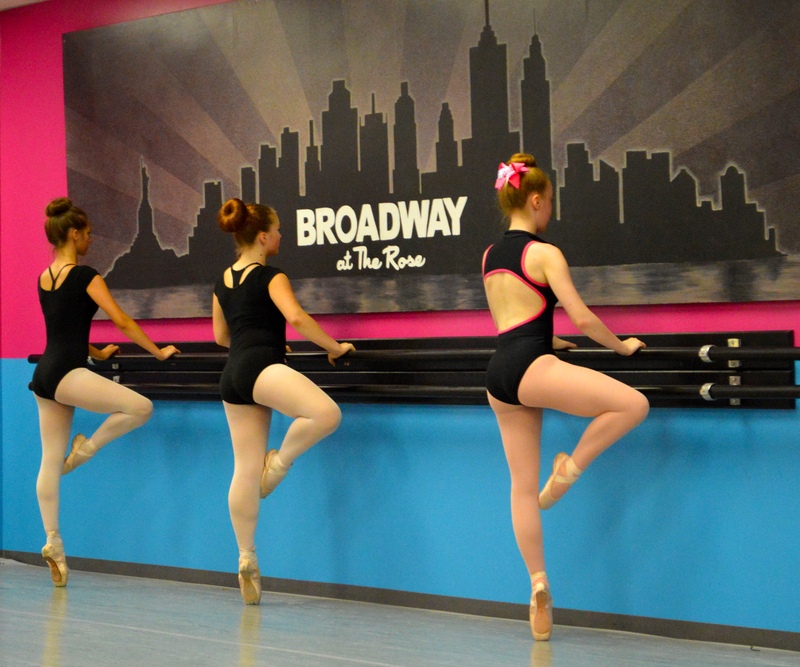 All skill levels are welcome in our BROADWAY at The Rose classes, from recreational learners looking for quality, technique-based instruction, to aspiring professionals in need of an intense, accelerated course of study. 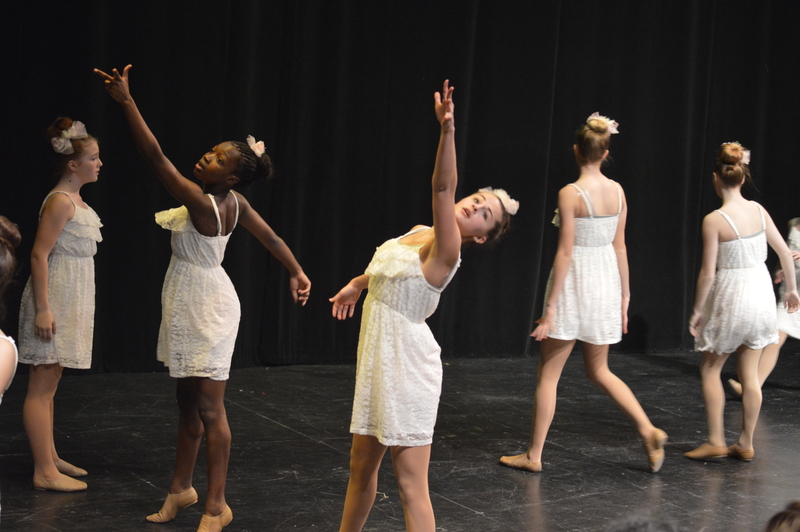 Guest artist workshops, regional and national competitions, and performance opportunities such as those provided through The Rose Brigade and Transcendtrix are also available! 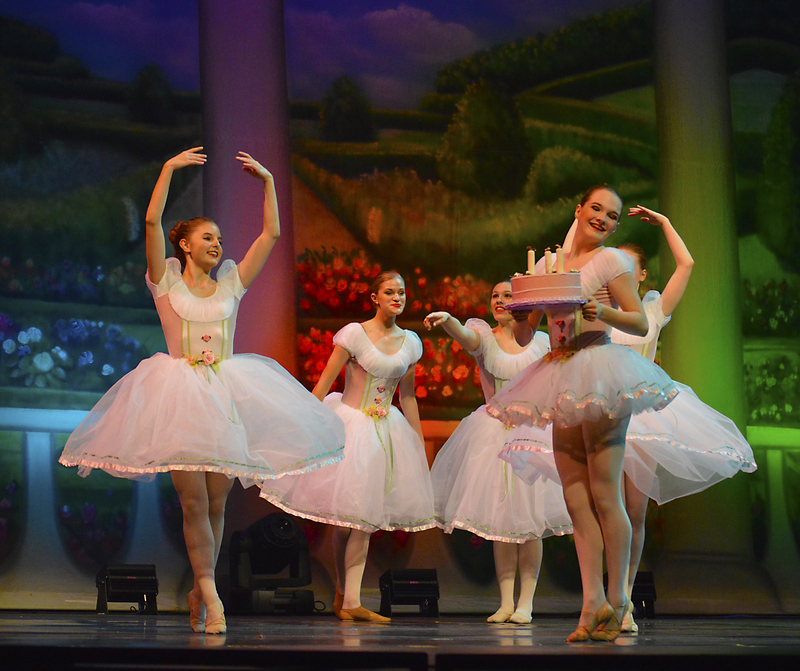 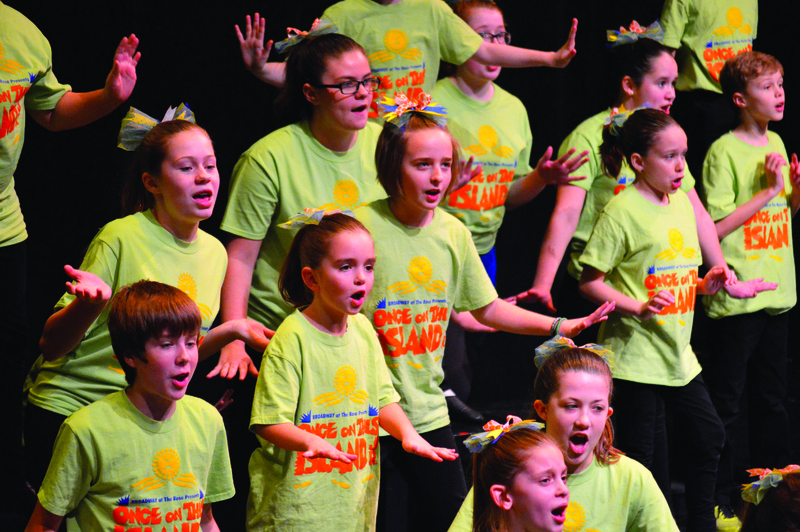 All classes culminate with a season-end performance on The Rose main stage. 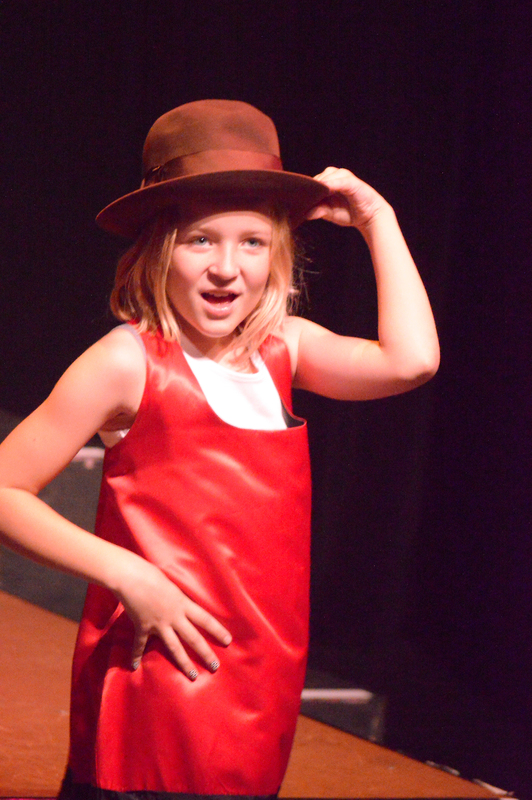 RockinRosieVideo2017 from The Rose Theater on Vimeo. BROADWAY at The Rose Academy students learn the basics of technique in a variety of classes. 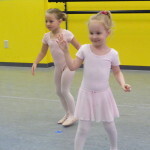 It is ideal for beginning students OR advanced students who want to hone their skills. 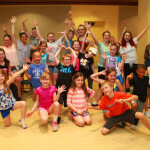 It is the perfect way to try a new dance style, experiment with musical theater, test your vocal chops or improve your technique. 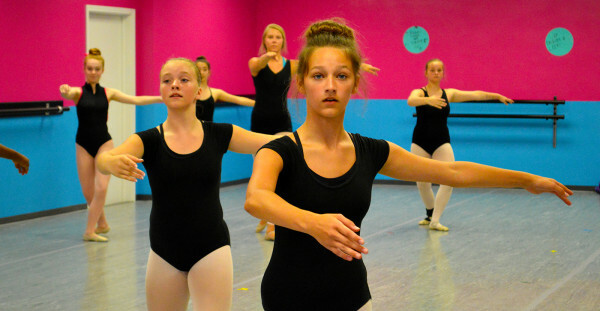 Most classes meet once weekly for approximately one hour. 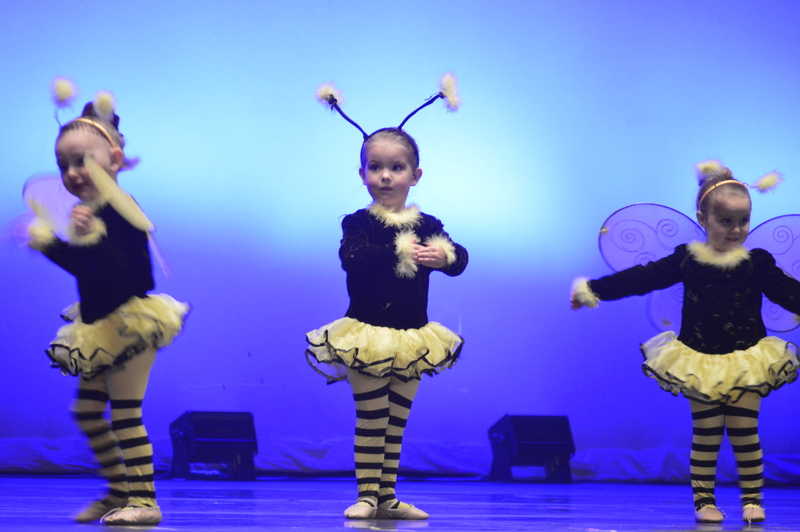 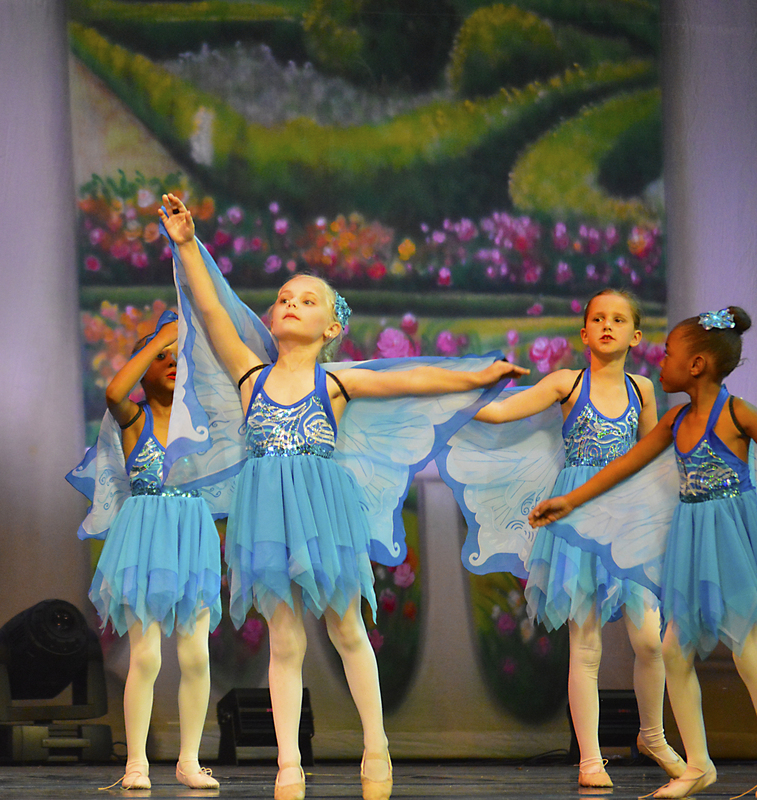 There are no prerequisites or auditions required for placement in Academy classes. 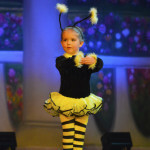 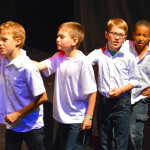 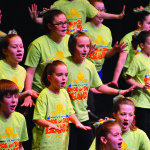 Academy students may enroll in as many or as few classes as they desire and perform in the Spring Concert in May. 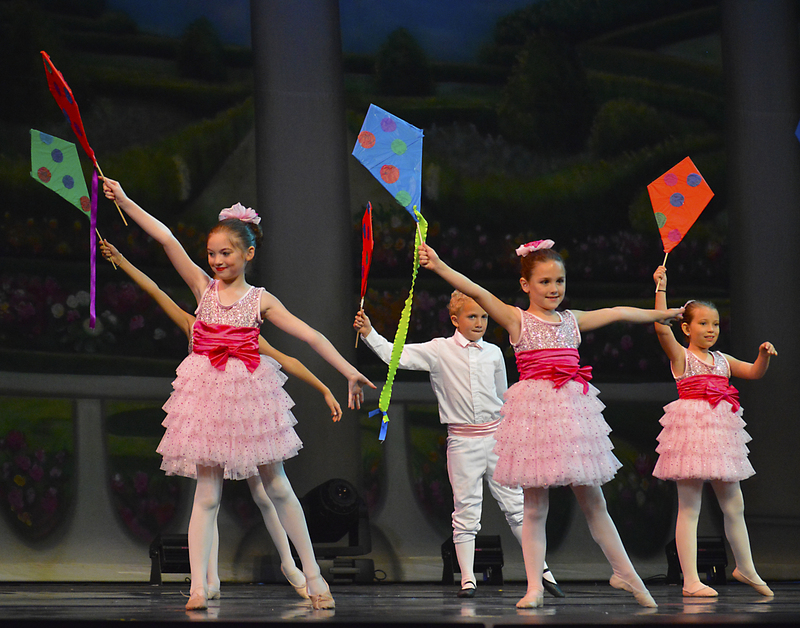 Open enrollment is based upon class availability. 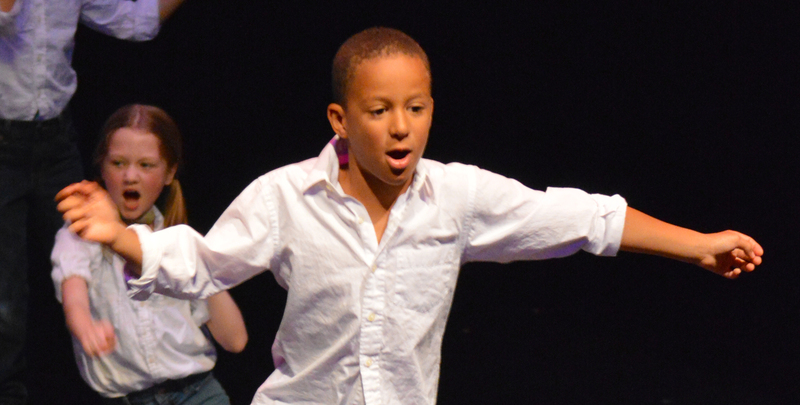 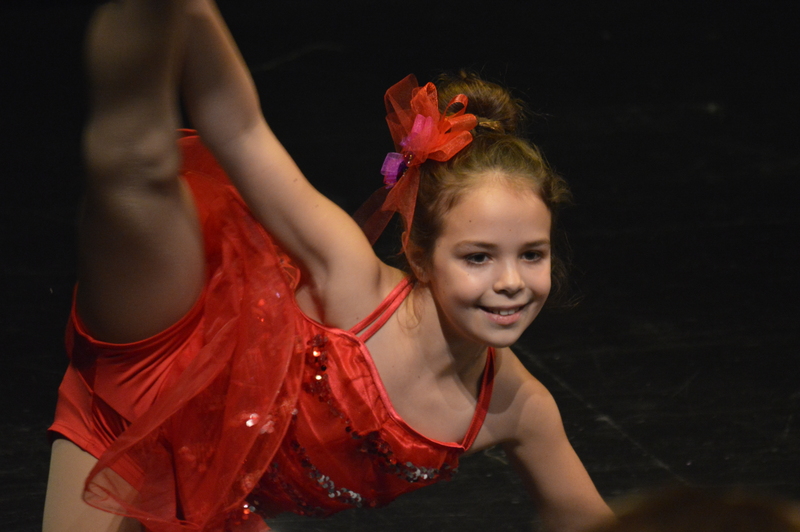 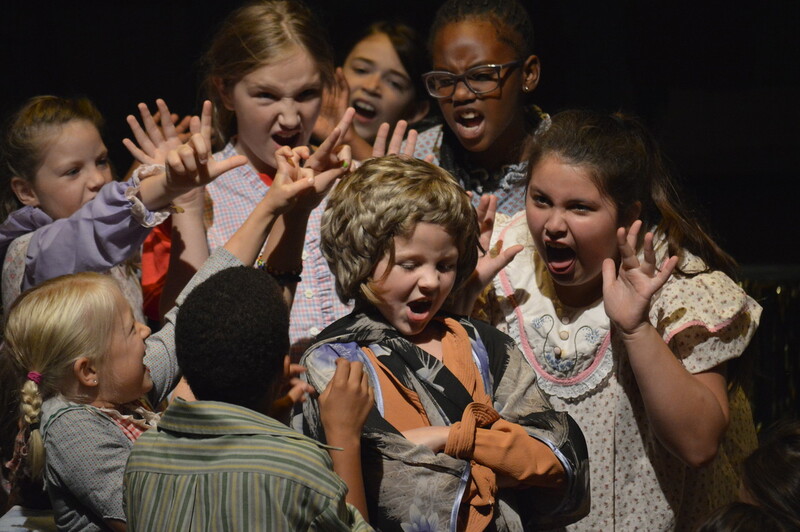 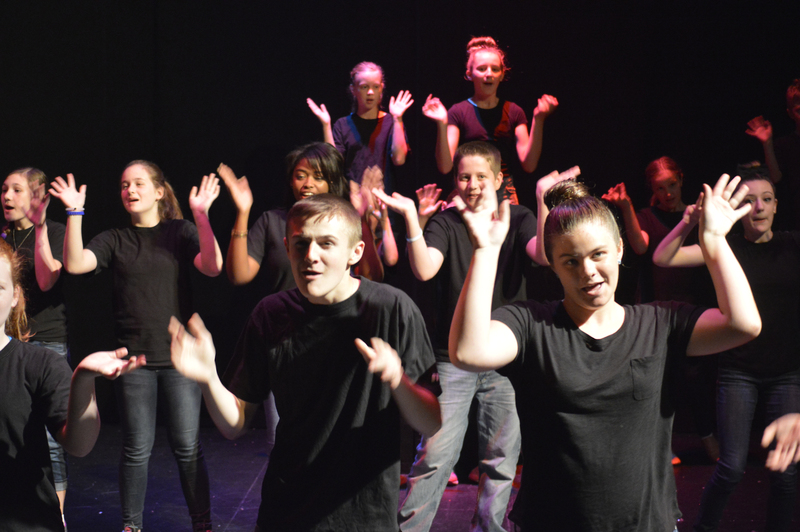 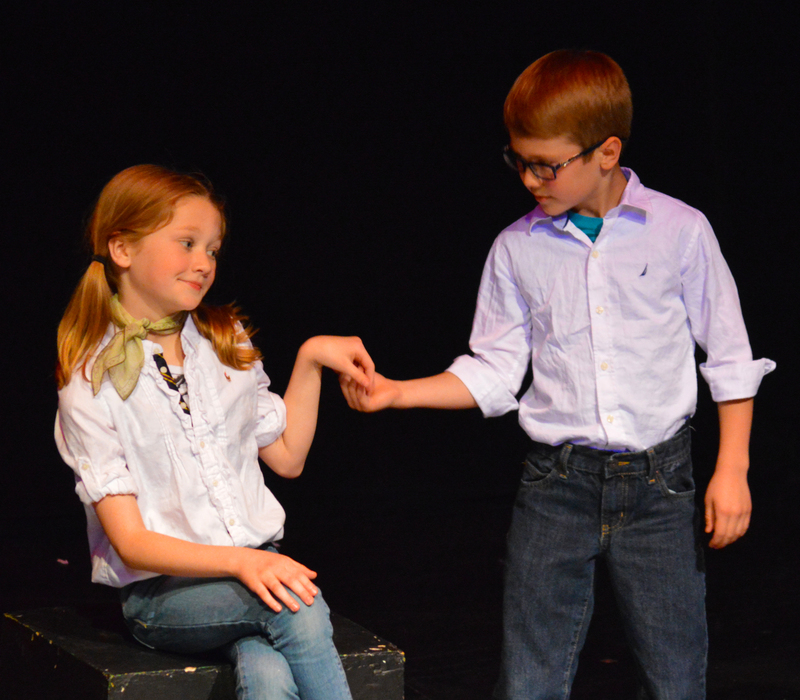 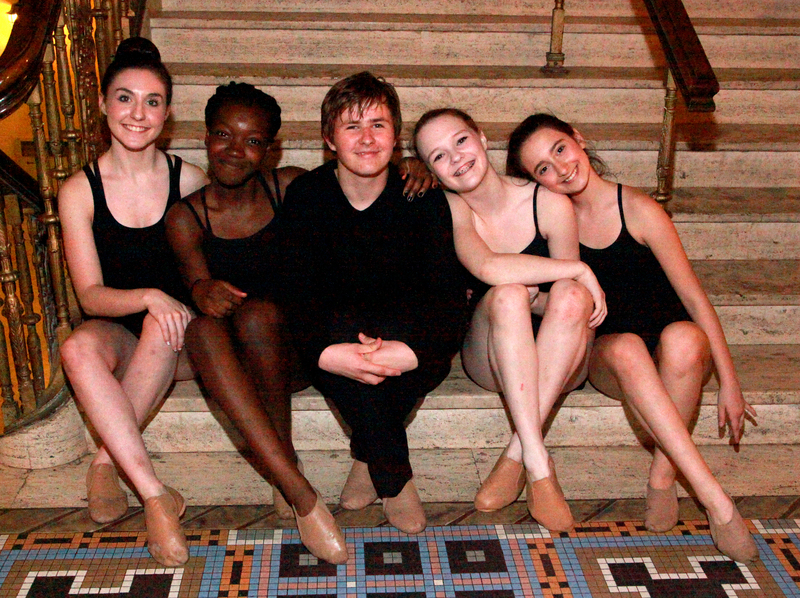 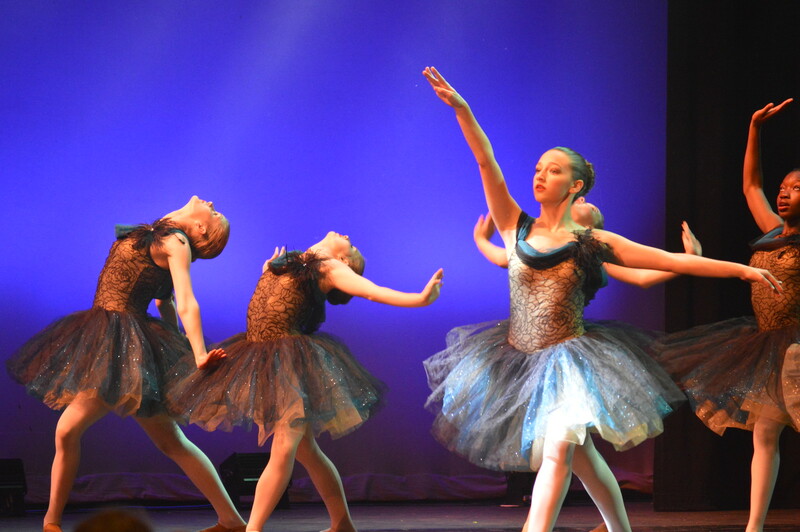 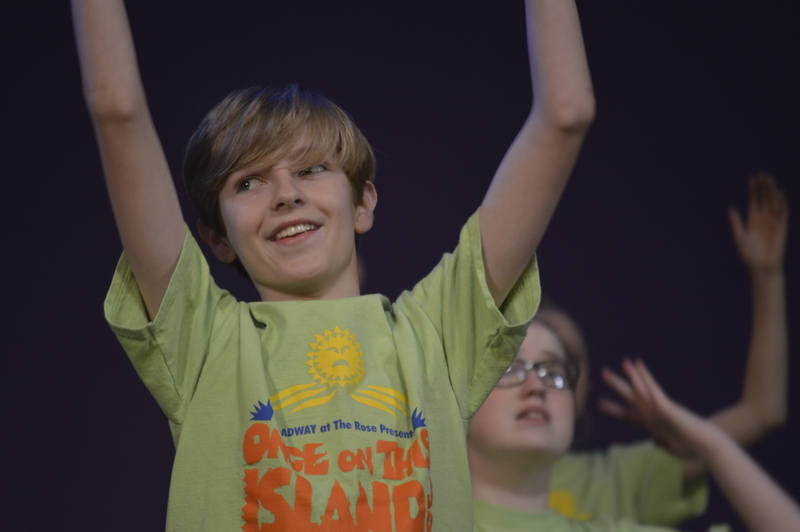 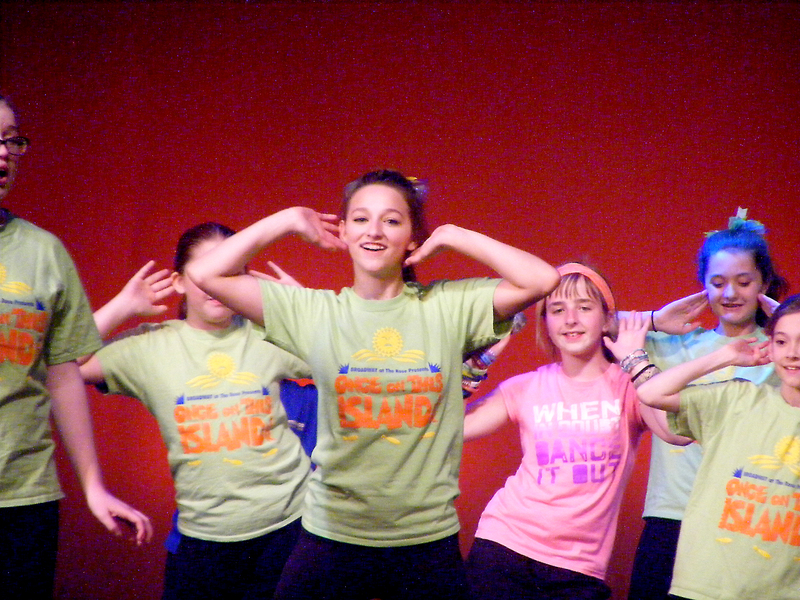 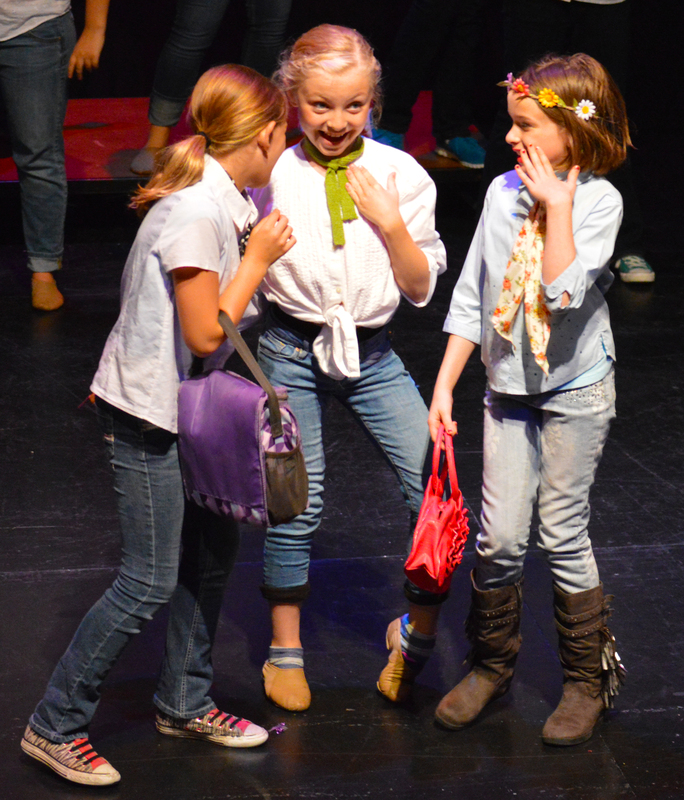 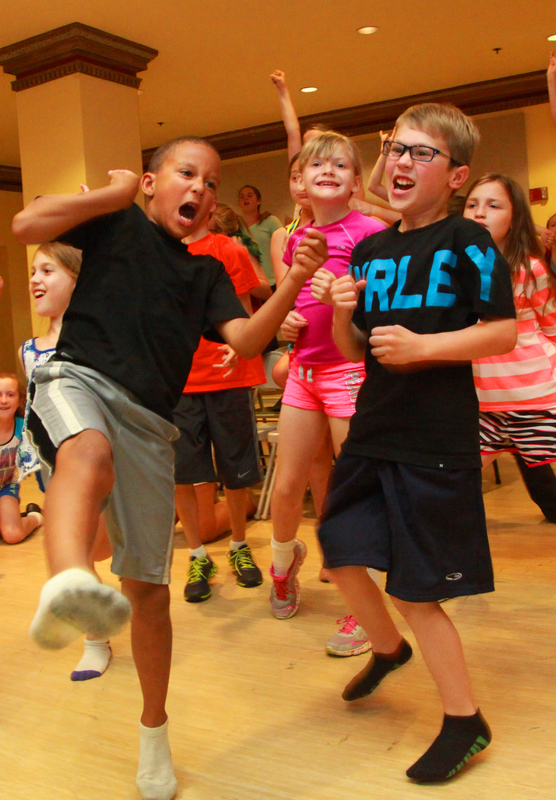 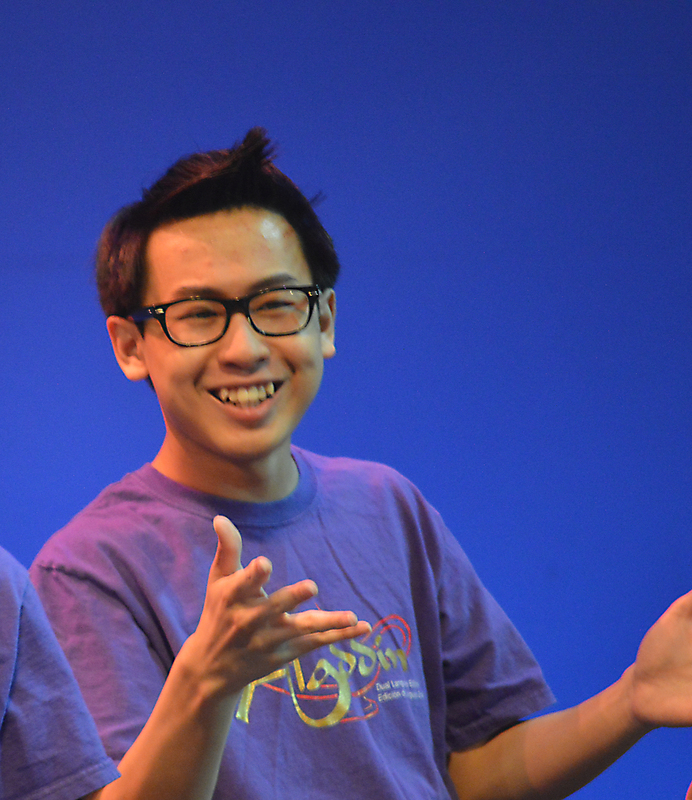 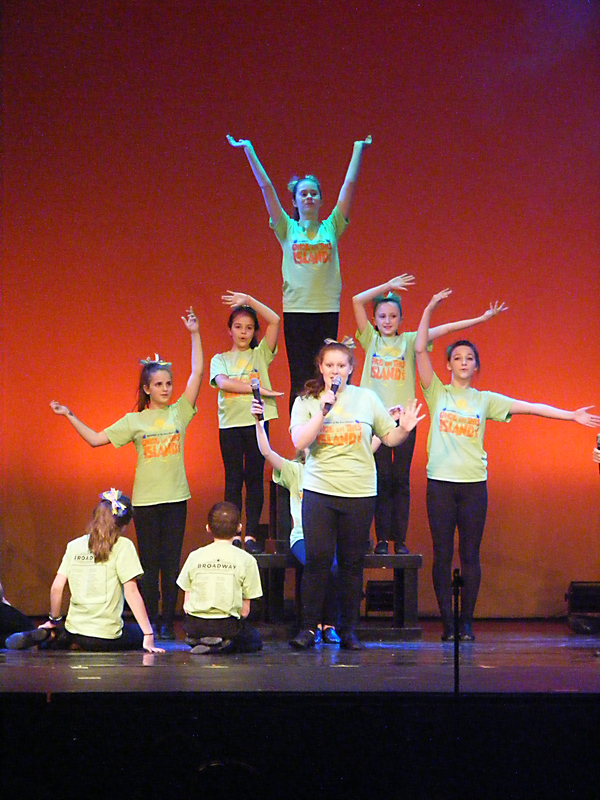 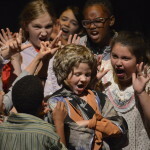 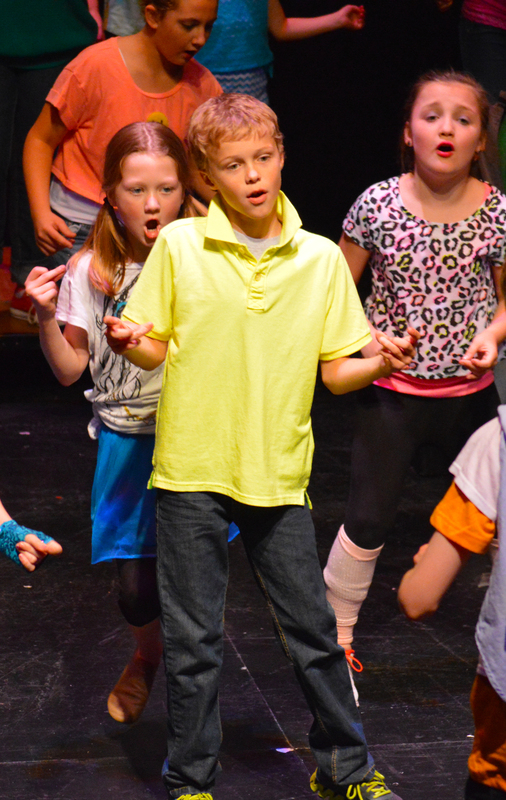 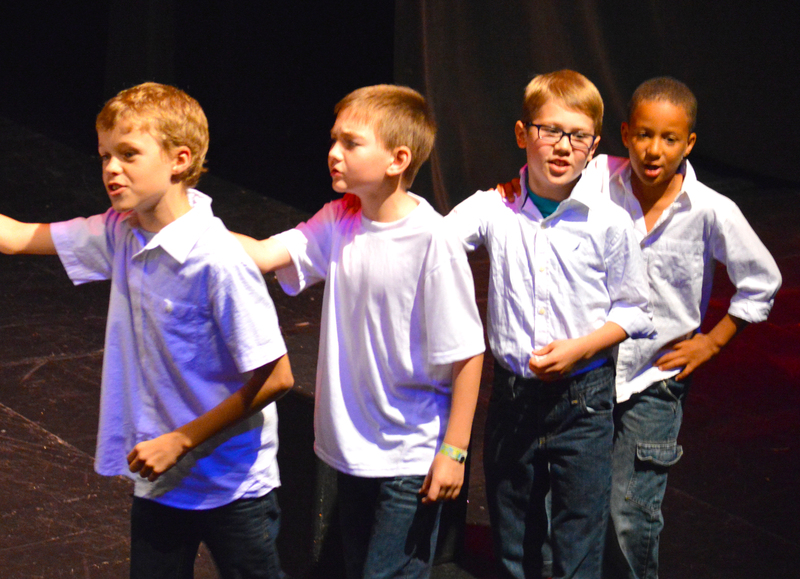 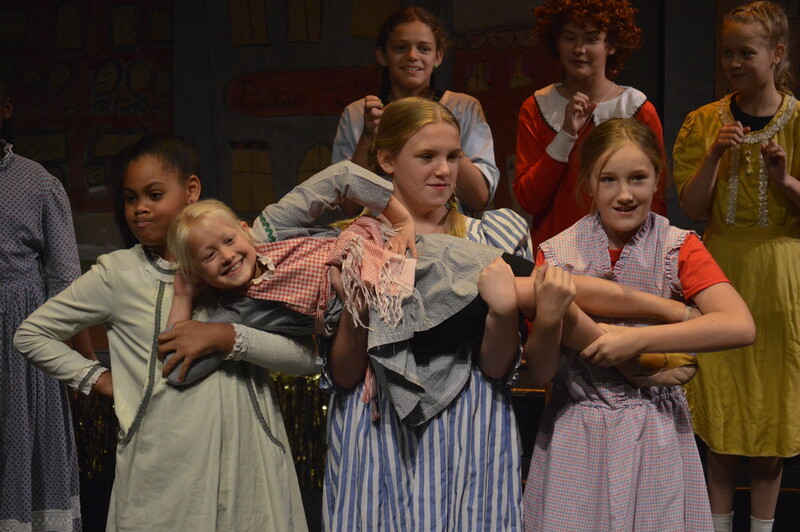 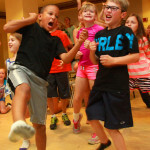 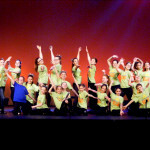 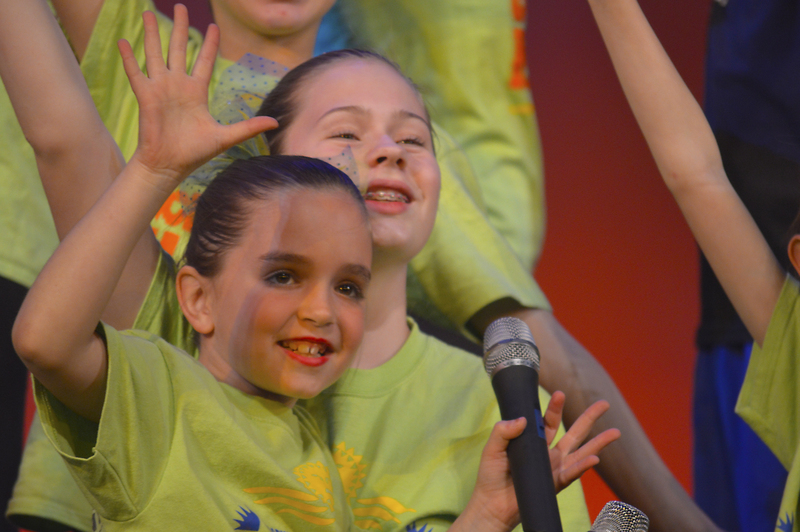 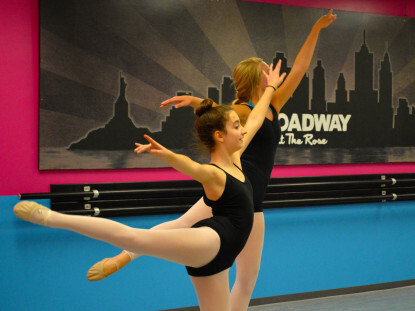 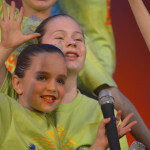 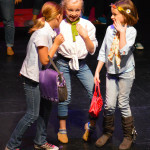 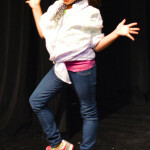 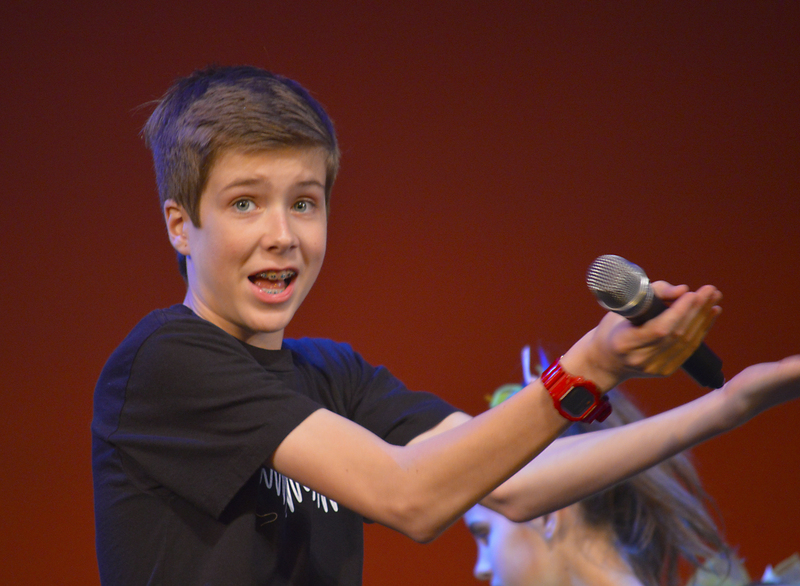 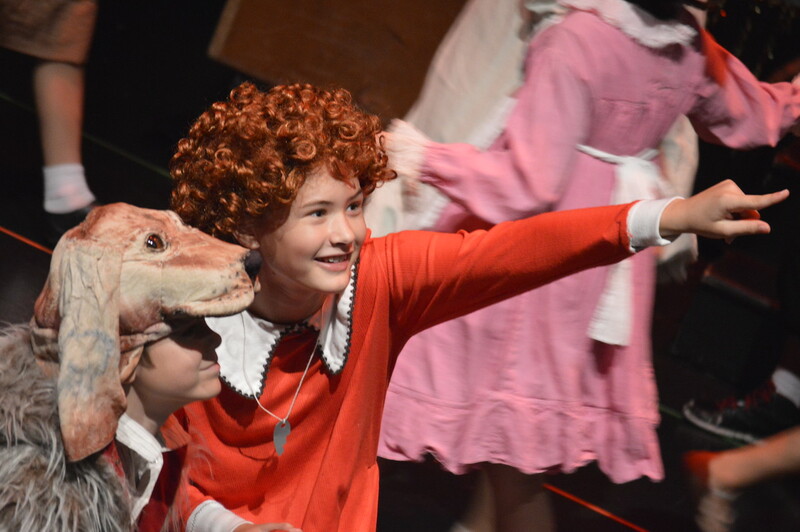 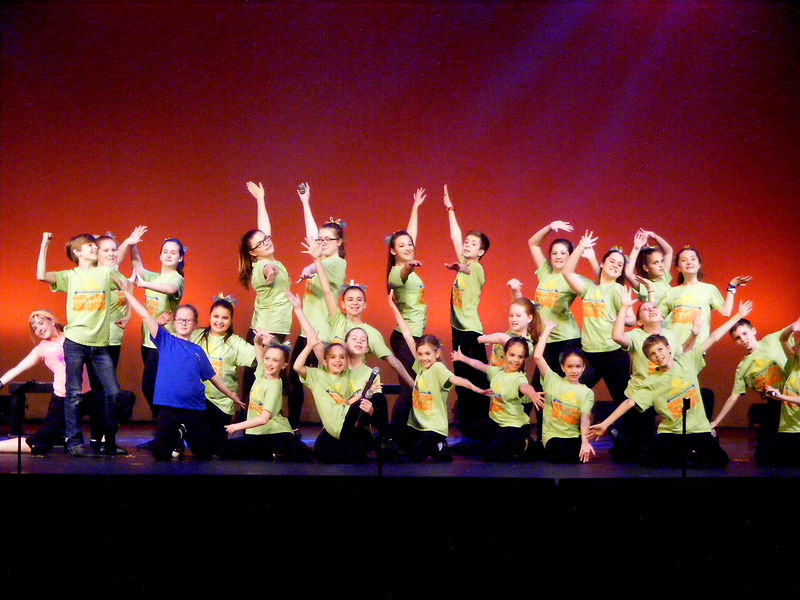 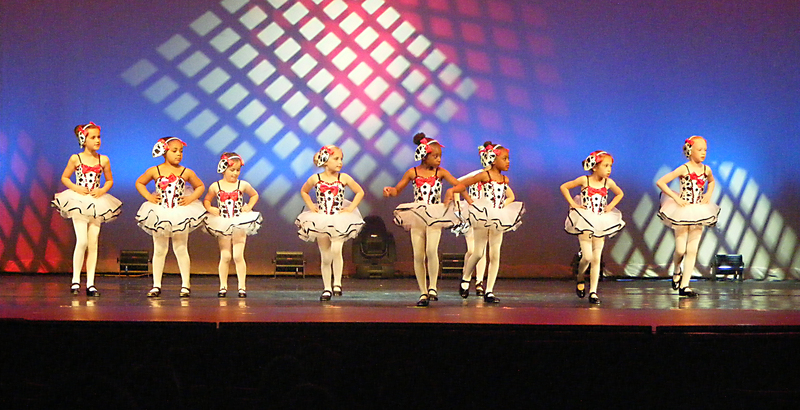 The BROADWAY at The Rose Intensive program is a pre-professional arts program for students ages 8-18. 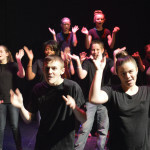 This program is for focused and motivated students with aspirations for a future career in performing arts. 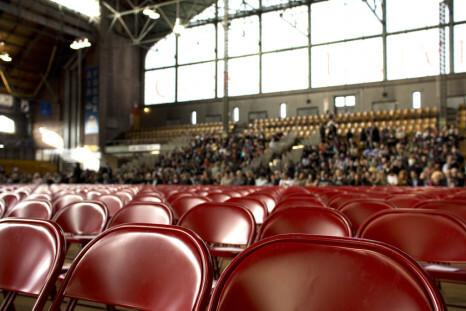 Upon acceptance, students will select a major course of study. 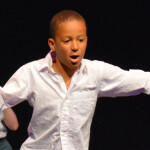 Options include Voice, Dance and Acting. 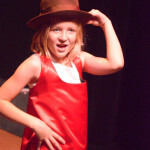 Theater has been a part of my life my entire life. 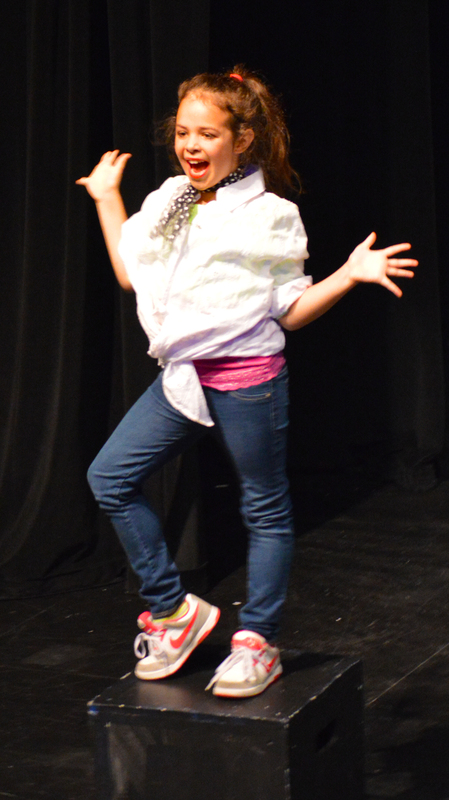 Not born into a “theater family,” I was born with the DNA to create and perform. 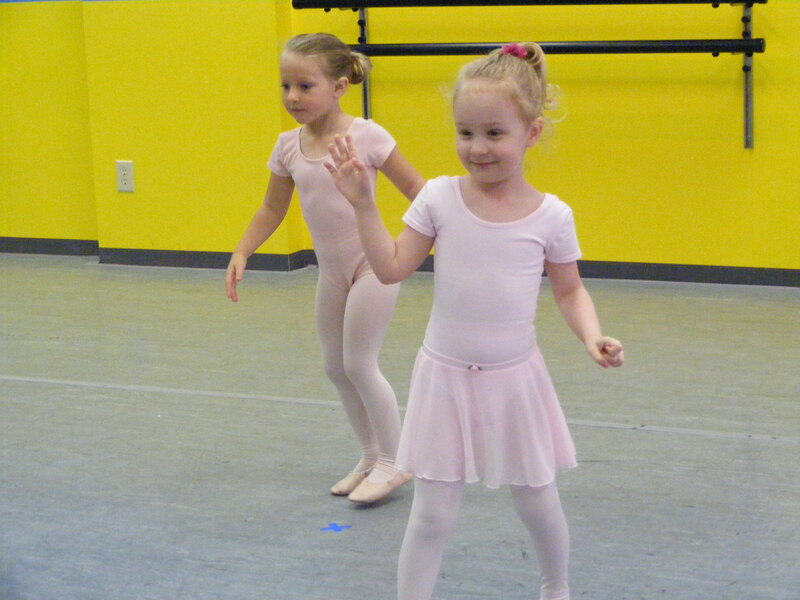 Thankfully, my parents supported this part of me and enrolled me in dance and drama classes as a young child. 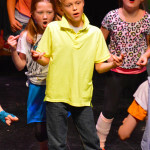 I went on to participate in theater in high school, then become a professional actor and dancer, touring all over the country and the world. 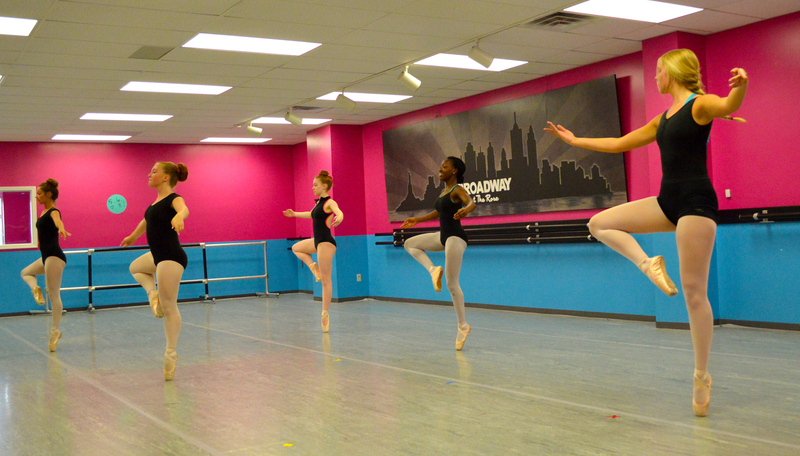 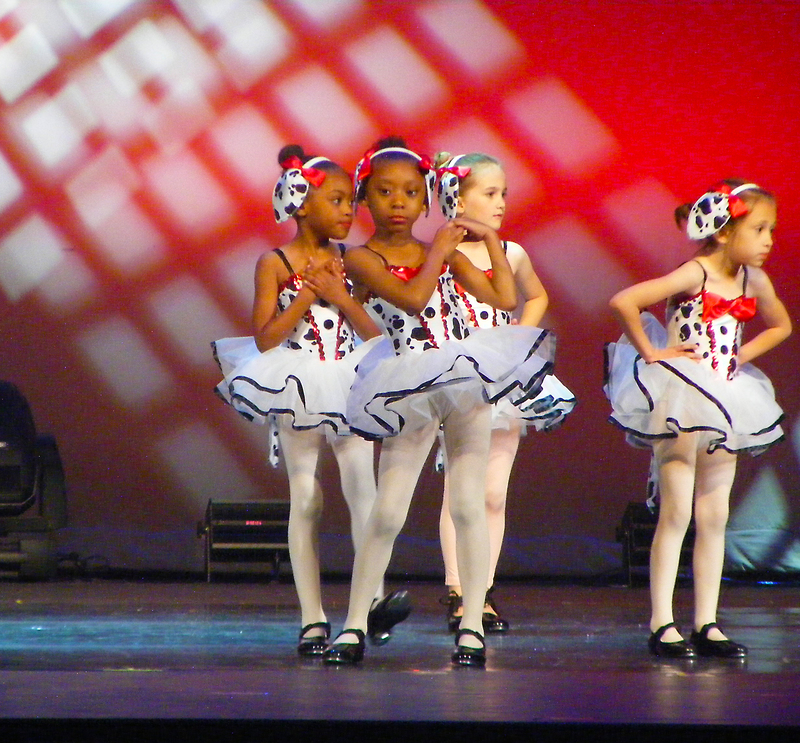 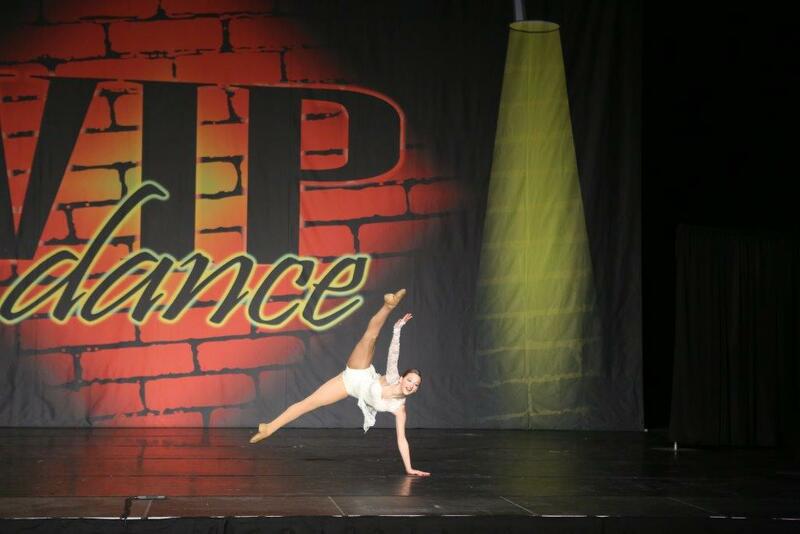 FROM OUR BLOG: Have you ever stopped to think about the math and science behind dance? 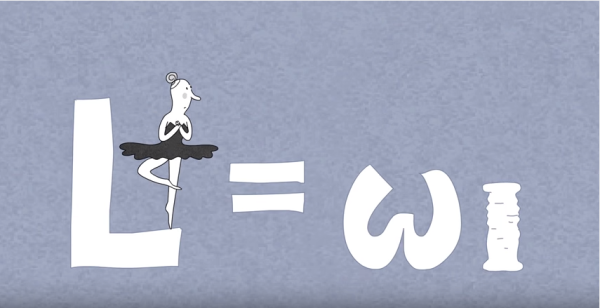 This TedEd video explores the physics behind the ballet move, fouetté. 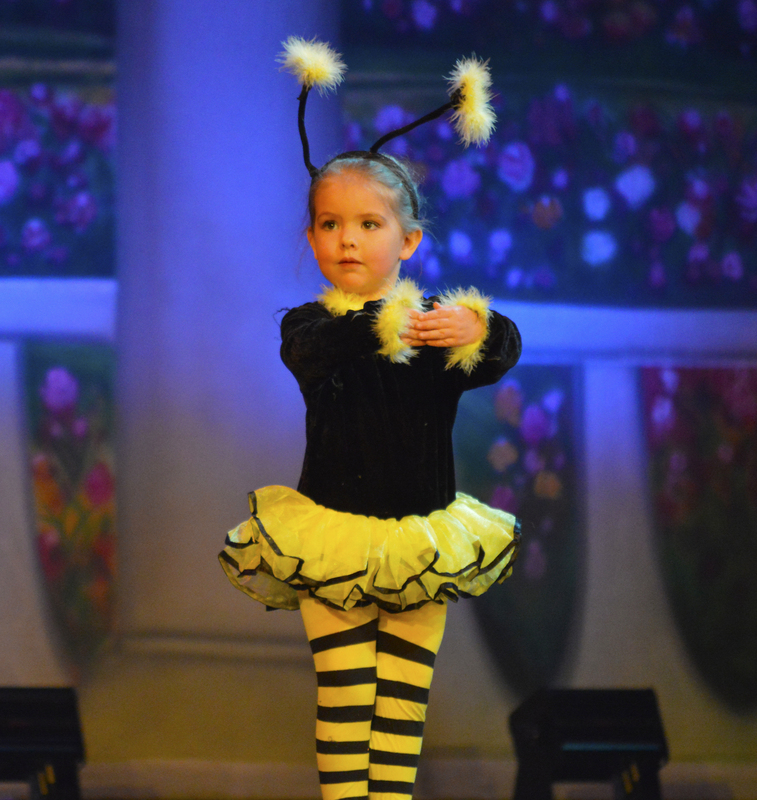 Learn more about how this move -- a seemingly endless series of turns, bobbing up and down on one pointed foot while spinning around and around and around -- is possible. 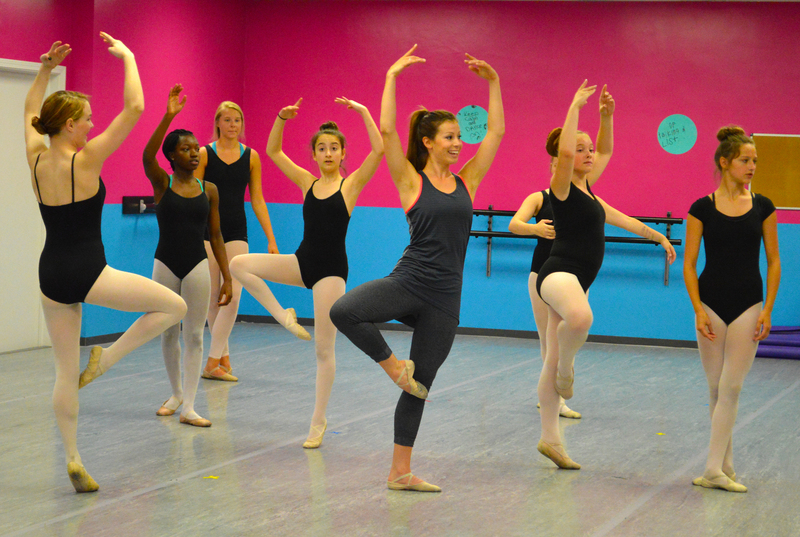 BROADWAY at The Rose is pleased to welcome Katrinka Stayton to our staff of dance instructors this fall! 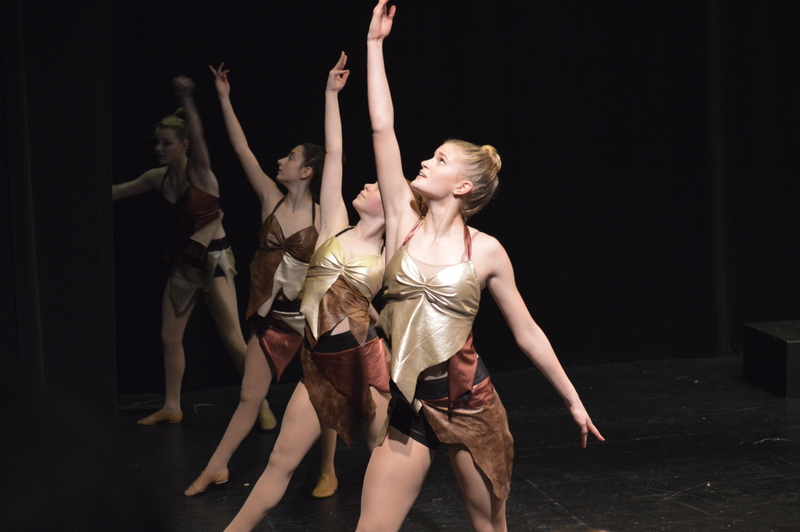 Katrinka will lead the competition dance teams during the 2016-17 season, bringing her vast expertise to students in the Transcendtrix Dance Lab company. 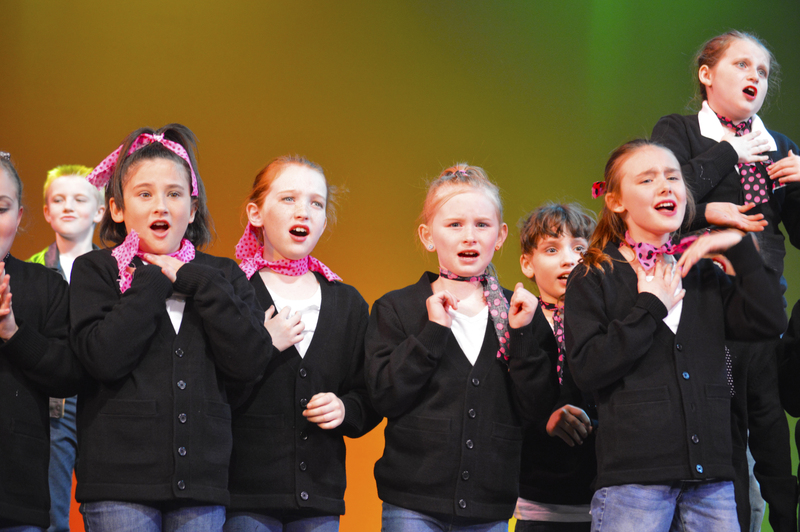 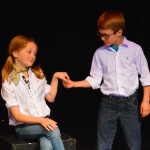 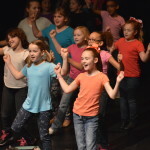 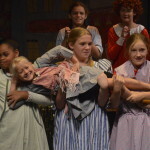 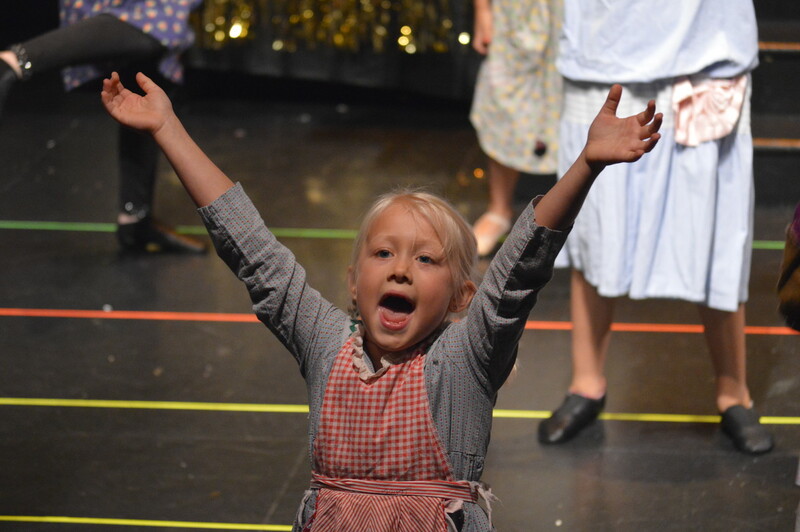 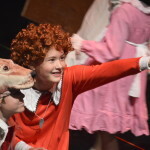 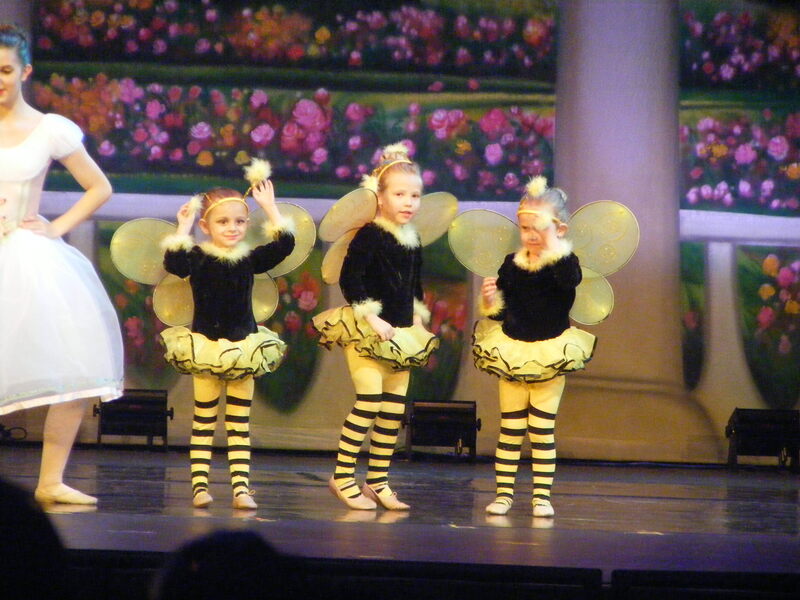 While we here at The Rose might think the benefits of a musical theater education are obvious, we realize that there may be some people who aren’t aware of the many ways children benefit from learning a classic show tune. 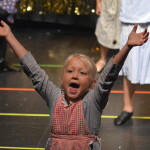 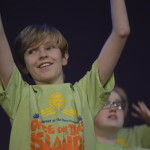 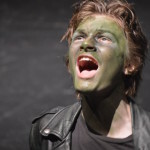 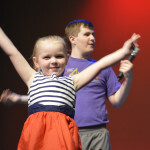 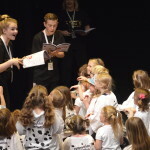 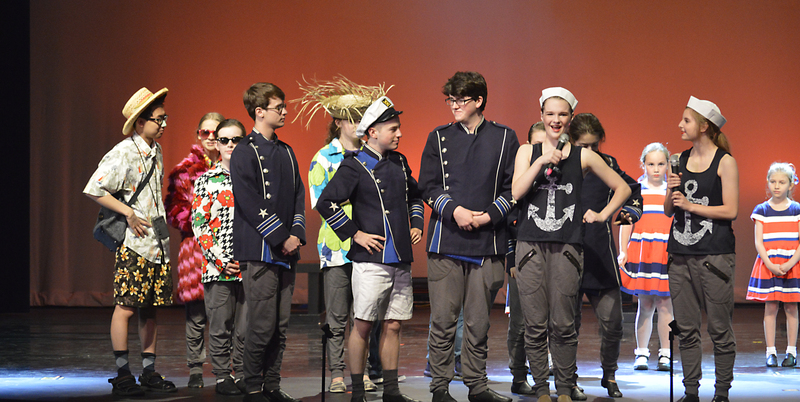 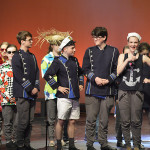 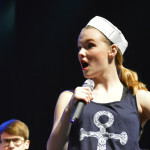 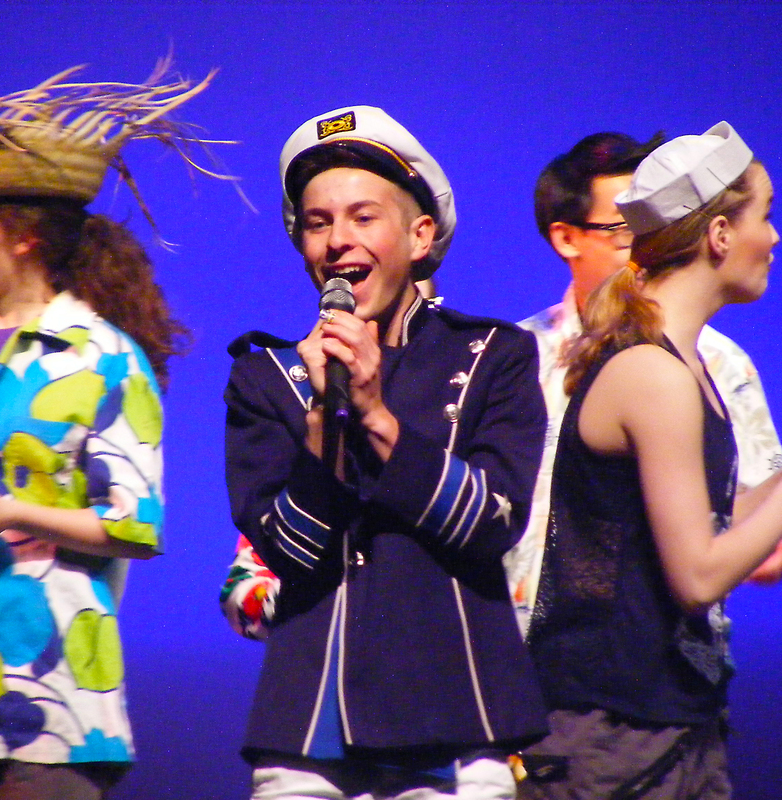 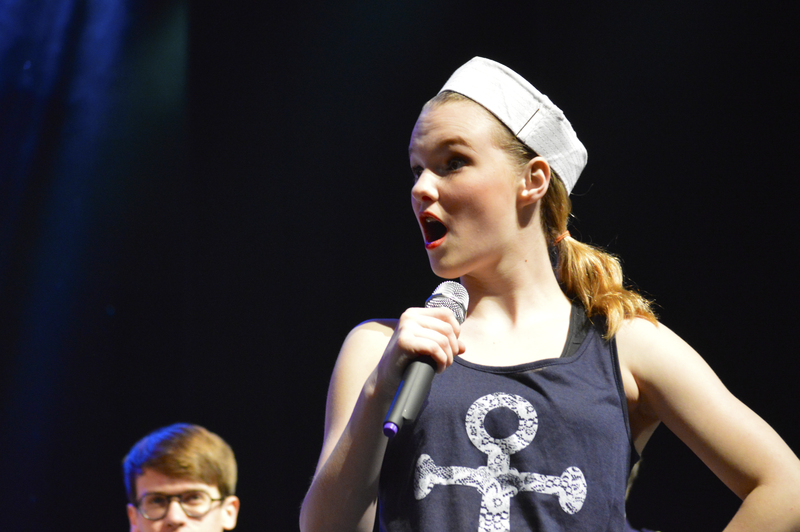 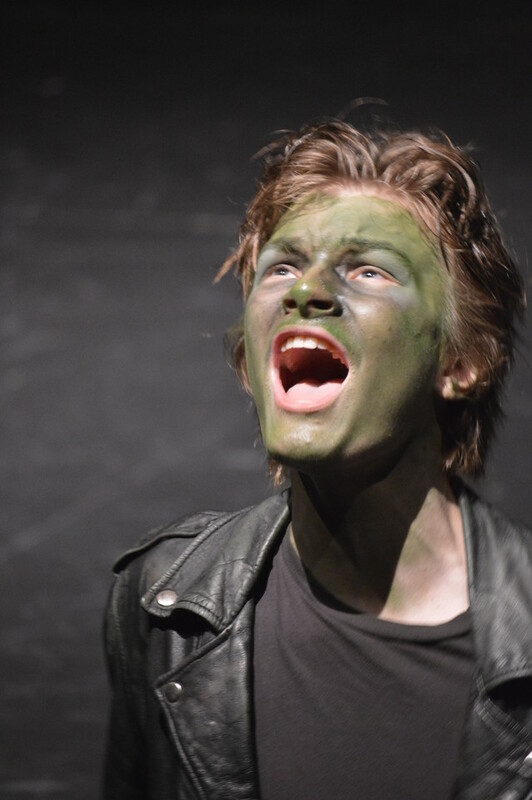 Over at the Tams-Witmark blog, Eleanore Speert has started a series of articles about the benefits of musical theater. 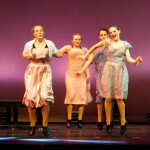 Her first post explains how musicals boost confidence.